On the eve of the youth media awards and your committee announcements, I offer you some words of advice from someone who has been there before. Your choices are amazing. You have done a fantastic job and worked the hardest you have ever worked over the past year. You have read, and re-read, and re-read yet again, taken notes, analyzed, and discussed titles in more depth than you ever thought possible. Your hard work is appreciated. When the announcement happens and your choices are known, just remember that your titles are amazing. You know why you honored the books you did and now you get to share those amazing titles with the world. You get to watch as others read them and discuss them and discover the intricacies in the plot, setting, characters, and voice that you did. Be proud that you get to share these titles with readers everywhere. Be proud that you have honored an author for their incredible work. 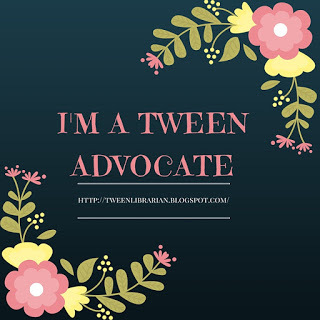 Be proud that you get to highlight literary excellence in children's and young adult literature. Be happy with your choices and don't listen to any naysayers. They don't know these titles as well as you and your fellow committee members. Remember it's not about popularity. That popular mock favorite that you didn't honor? It's OK. The obscure title that surprised everyone? It's OK. The title that everyone has mixed opinions on? It's OK. No matter what you choose, your titles are worth reading, worth knowing, and worth sharing. It doesn't matter if the honored titles don't match everyone's expectations-you know why your books were honored and be proud of giving these books a chance to shine. Feel good about sharing these fantastic titles with readers everywhere and giving them books to discover (or re-discover). Understand that you just undertook a year of immense critical reading and it's OK to take a break from reading. Your work was exhausting and you deserve a chance to step away from books and not read for awhile. It doesn't make you a bad librarian or a bad reader-you deserve a break. Come back to reading when you're ready-and read something you want to read and find fun. And don't be surprised if the way you read has forever changed-you'll find yourself reading critically, but you can also give yourself a break and read for fun-and sometimes those things will intertwine. Feel good about the work you did and be proud of your committee. Seek out your titles in a bookstore and library and feel proud when you see that shiny sticker placed on the cover. Be excited when you get to booktalk one of your titles and share it with a reader. And share away-that's one of the best parts of committee work-sharing your titles with others and getting them to read the books you worked hard to honor. Thank you for your amazing year of reading and re-reading. Thank you for taking the time to discuss titles with your fellow committee member. Thank you for working hard to shine a light on great titles and honoring the best children's and young adult literature has to offer. Thank you for your amazing list of titles and congrats on a job well done! We're all cheering you on! Now sit back and enjoy celebrating your hard work over the next year! I am so excited to be hosting a giveaway for Lucy Christopher's latest book! Ms, Christopher is an excellent writer and her books should be shared. "...Christopher creates such a smooth and emotional flavor amongst the characters. Her ability to make the readers empathize so well prove that Christopher is wonderfully talented." With a great teem review, you know you want to check it out! Want to win a copy? Leave a comment below to win! He's arrived! 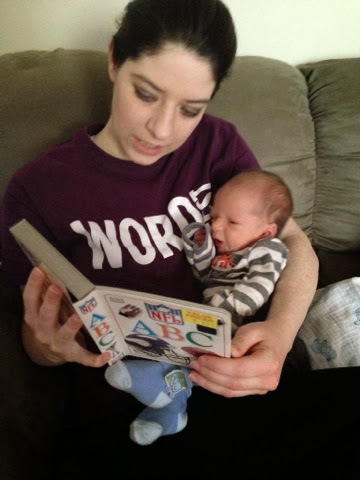 Baby GreenBean arrived on Tuesday and he's already a reader! Of course I would expect nothing less from my little guy! So of course you understand if I take a short blogging break over the next few weeks. There may still be some posts but they will be more sparse for awhile . I need to spend time reading to Baby GreenBean and hopefully getting some sleep! I'll be back to blogging more regularly soon. In the meantime, do you have any suggestions on favorite board books or picture books for Baby GreenBean? If love to add to his library!! -Jon Klassen won the Caldecott Medal and a Caldecott Honor last year, so of course this book is on everyone's award radar. I think it's another fantastic outing from Klassen and his use of light and dark really reflect the story well. One of my favorite comments about this book comes from Mr. Hankins, who said the last time he felt this scared reading a book was with There's a Monster at the End of This Book. And that's some high praise! I have to agree with Mr. Hankins' assessment of the tone of this book and the illustrations do a wonderful job of expressing that tone and making the reader have a sense of fear. I like the use of shadows as well. 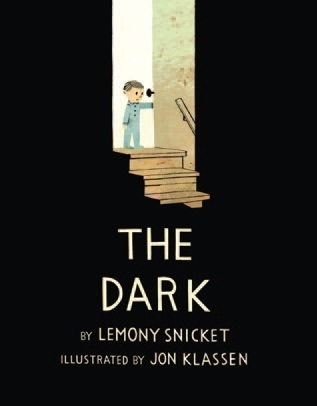 My only downside is that I'm not sure it holds up with each re-read and I keep comparing it to another book with black and white elements, Mo Willems' That Is Not a Good Idea. -I pegged this one last January as one of my favorites of the year and it still remains so! I love and adore Willems nod to old fashioned silent pictures. This one has great use of light and dark, from the dark pages with the text to imitate the text from the movies, to the pictures that allow you to infer more than one possible storyline, and the use of color on the full color pages work well to give the reader a sense of a silent film. I also love the expressions on the little chicks who scream the refrain, "that is not a good idea". With each impending suggestion, the chicks get more and more expressive which is a great addition. I also think the fact that the twist at the end allows for re-reads to be even more rich as you can start over and see the book from a new perspective. It's another great from Willems! 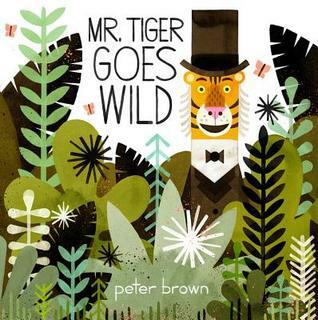 -Mr. Tiger Goes Wild is my other top choice for Caldecott this year. 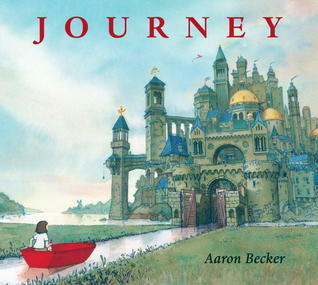 (See my review of Journey by Aaron Becker) It's graphic design that has an old fashioned feel. It doesn't feel overly designed and has a nice nod to classic illustrations which gives it a great blend of old and new. The illustrations feel crisp and clean and the lines are so symmetrical it's a treat to look at. The illustrations might fall into the gutter (the middle section of the book) but they never look misplaced or disjointed. Instead, the gutter placements work well with the illustrations and they continue to feel very sharp, even when they are full page with a gutter break. The full page illustrations-where we get a full city skyline, to the first time we see Mr. Tiger get down on his paws, to the time he lets go and is a wild tiger, to the full lush wilderness-are all stunning and have a great epic feel to them. This is a story that you can look at just the illustrations and know exactly what is going on. You know the story just from the pictures and that makes in really stand out. Of course, the text adds a lot to the story and the illustrations add a lot to the text, making it a great marriage of text and illustration-each one can stand on its own, but you gain so much more by pairing the two. The addition of the contrasting end papers-brick to start, jungle at the end-is a nice touch and brings together a great whole package. Along with Journey, Mr. Tiger Goes Wild is my book to beat. 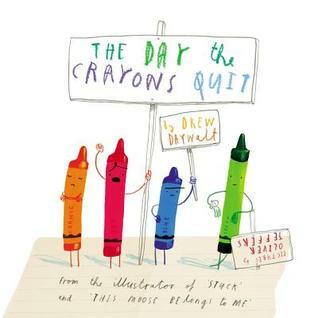 -A book illustrated all in crayon for the Caldecott? Why not? This is a hilarious tale of a crayon box who has had too much and all have something to say. Each page is illustrated by one crayon, telling their tale of woe and illustrating why they are so sad. Can a book that only uses on color per page really be exciting? Jeffers proves that it can-and it can be unique and interesting! The way he manages to give each crayon a personality in each drawing and makes each illustration stand out with just one color makes this book a serious contender for me. 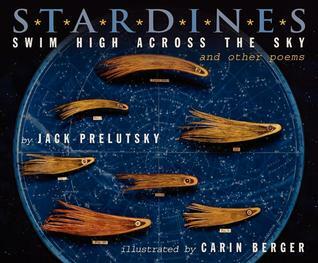 -I love unique books that have a possibility of a Caldecott run. And Carin Berger's diorama's in Stardines are very unique! I love how each page is filled with a random collection of items-it's fun as a reader to look through each one and see what was used to create each illustration. I do think each page looks a bit flat though-I think this is a problem with the way they were photographed. I would expect more of a 3D feel and texture to them and they don't really have that. I also thought the diorama's themselves lacked a bit of texture to them. It's an interesting book with fun illustrations and I'm interested in what others think of this one. -This one wasn't on my radar until Betsy Bird at Fuse #8 mentioned it as a possible Caldecott pick and I loved the idea. 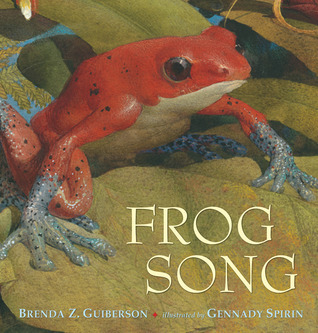 I love the idea of unique books getting a Caldecott nod, and this one is one that would surprise everyone and I would love that! 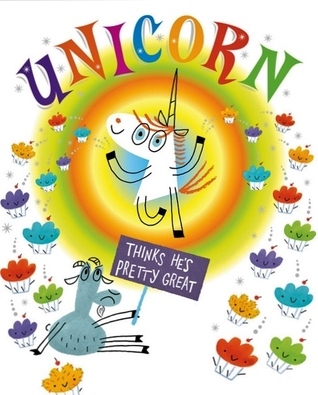 I love the use of color in this one, especially the way Shea differentiates between goats sad, melancholy gray/blue and unicorn's spark of color (and the surrounding colorful animals). I love that it's computer designed but doesn't feel overly designed (like Bluebird) and feels a bit hand drawn and childlike which adds to the whimsy. What really sells this book for me though is the great use of emotion. Looking at the pages you can see and feel goat's emotion and jealousy over unicorn. You get a great sense of unicorn's happiness and sometimes obliviousness. It's very well done and makes the book one to consider in my mind. I am so excited to feature Alyxandra Harvey on the blog today! I've been a big fan of Alyx's ever since I first read Hearts At Stake (you can read my gushing review here). A Breath of Frost is the first in a new series set in Regency England and featuring three cousins who unlock their family's witch powers-and oh yeah, they've just opened the gates to the underworld. As I read A Breath of Frost (which I reviewed for Booklist, so sadly I can't post a review here) I noticed the characters used the library-a lot! There were characters that were avid readers and they seemed to be gathered in the library in several scenes. I asked Alyxandra Harvey to write about the role of libraries in A Breath of Frost and why she chose to feature these scenes (and I absolutely love what she has to say! I didn’t intentionally set out to make libraries a part of A Breath of Frost. But since they are such a part of my own personal story, they do have a tendency to sneak in when I’m not looking. The thousands of books, the smell of old paper, the possibilities. Especially in the early 19th centuries where home libraries (for the wealthy) were these beautiful vast spaces with leather bound volumes, fireplaces, acres of chairs and housekeepers to bring you tea and biscuits. I love scenes in books and movies where the tribe of heroes is sitting around in a library researching and trying to figure out what to do about the Big Bad… Buffy the Vampire Slayer, Stargate (the original movie)…. For some people those scenes are filler, but for me they are an important side dish at the feast. Libraries hold answers. Even better, they hold hundreds of questions. And they become the hearth at which the family gathers--- because if our tribe doesn’t consider themselves family, this time together in the library often convinces them. It also allows characters who aren`t necessarily particularly good at fighting, to wage their own battles with their weapon of choice. In A Breath of Frost, Libraries are particularly important to Emma because she has so many secrets to unravel. She lives in a time when children, and girls especially, weren’t really supposed to ask a lot of questions. It doesn’t help that Emma’s father absolutely refuses to talk about her mother’s madness…and he doesn’t even know about the witchcraft in the family. The library then, becomes not only a place of research but also a place of empowerment. She finds answers for herself. So I would say, without exaggeration, that libraries help to save Emma’s life! 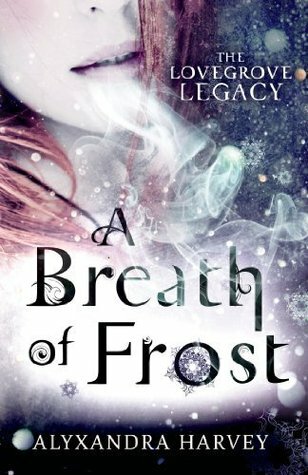 Check out the awesome trailer and then get to reading A Breath of Frost! -2013 was quite an interesting year when it came to wordless picture books. Bluebird is one of the standout ones in my opinion. 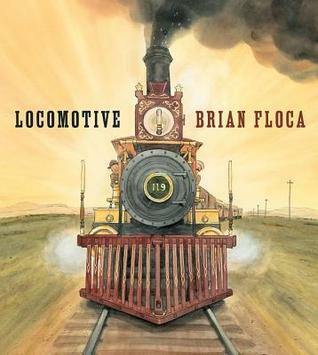 When I first read it earlier in the year, I thought for sure this one was a lock for Caldecott, but going back to it time and again (and committee work is all about re-reading and analyzing!) I'm not so sure about it's chances. I wonder if the graphic design to the book is distinguished enough-the more I read it, the more it looks like graphic design and I feel like the flow of the design isn't there. It feels too produced illustration wise. I like the varying shades of blue throughout, but I also see this as a flaw, because I don't know that it ever really adds anything to the story. Even in the end when we see the other colors of the birds, the addition of more color looses some of it's power because it's so small. And the story is just so darn depressing-not a committee consideration at all, but something I notice each time I read it! 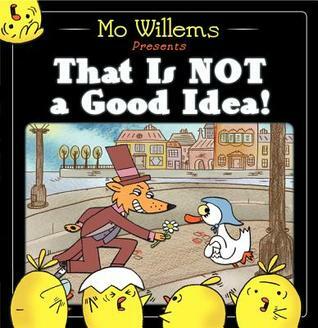 I also think it has trouble working as a wordless picture book because the story isn't always clear. This one has waned for me over time and while I still think it's a strong contender, I'm not sure it's one of my top picks. -There's something about debuts and committees that always seem to go hand in hand. Maybe it's the thrill of discovering a new talent and sharing it with the world? Maybe it's the joy of honoring something new in the field? Being a debut isn't a shoe-in to win an award, but I think if any debut picture book has a lock on an award this year, it's Aaron Becker's Journey. For me, this is the book to beat. 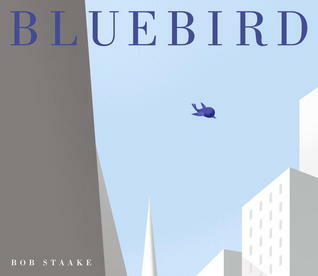 It's another wordless picture book that does an excellent at telling a wordless story. The reader knows exactly what is happening and while there is some magic that the reader has to fill in, it all flows nicely and makes sense. There are pages in this book that are beautiful and breathtaking and the type of full page illustrations I want to pour over and have hanging as a poster in my office. It's simple yet complicated which is what I think makes it stand out. The illustrations look simplistic enough at first glance, but the more you analyze them and look them over, the more detail you start to see. There's a nice blend of colors and style-some of the illustrations really stand out (the castle) and others are more muted and quite (the forest). I also love the slow, sly introduction of color throughout and how the girl's journey starts out in a sepia tone and becomes full color as her imagination takes off-another great layer added to the story. I think Journey is my top pick and I would love to see it honored this year! It's the start of the year which means there are some great roundups of book to movie adaptations coming out this year. School Library Journal put together a list of children's and YA titles coming to the big screen in 2014. And Word and Film has a great list of book to movie adaptations. Not all are YA, but there's a great family category that lists a few that are under the radar and worth knowing about. And in the biggest freak out moment of this week, a new trailer for the Veronica Mars movie was released! Who else is screaming about this one??? In the blogging world, New Year's Day not only means the start of a new year, but it means the Cybils shortlists are being announced! Be sure to check out the Cybils website throughout the day to check out all the category shortlist announcements. I hope your favorites made the list!